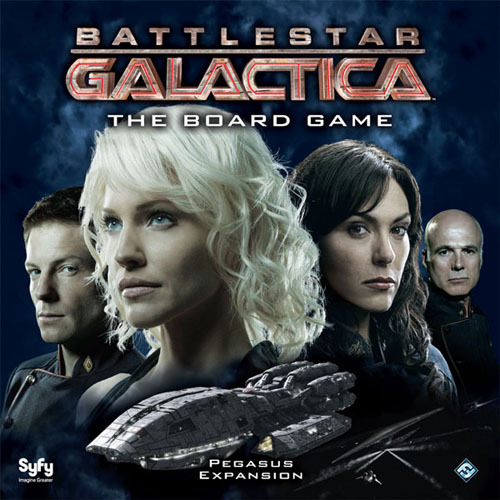 The Battlestar Galactica board game is probably my favourite of all time. Not only does it have exceedingly clever mechanics and nearly endless replayability, but it also captures the theme (one that I didn’t even like that much before the board game) perfectly in nearly every way. So let’s pretend that my two sentences convinces you of this fact. Or, perhaps, you are already part of the choir. I’d like to talk a little about the expansions. 1. Pegasus, covering events in the second season and the season opener of the third. 2. Exodus, covering events of the rest of the third season. The thing about Pegasus is that it was the first expansion and afterwards I believe the game designers decided to take a more modular approach. Pegasus, therefore, does not benefit from this. It is often considered a “rules patch.” For this reason I have heard many dismiss it as “not worth the money” but I personally think this is terribly unfair. It is true that the Pegasus box is the same size as the base box, but far lighter. It is also true to say there are a lot more bits and pieces in Exodus. For my money, though, I think Pegasus is a far more important expansion. It tries to achieve two main goals. First it attempts to rebalance the “sympathiser” mechanic. It is a very unpopular mechanic and many people feel that it is both too “gamey” and also prone to wild balance swings between the two teams. 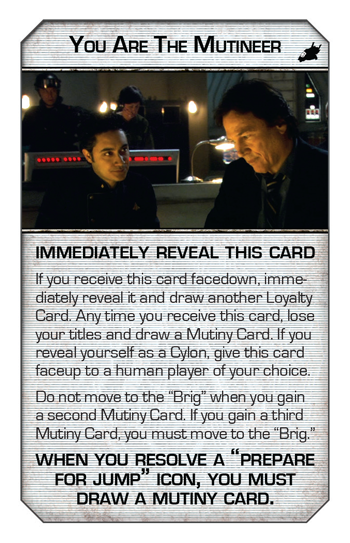 The expansion provides several options for alternatives that generally centre around a enigmatic Cylon Leader. They’re almost a third faction that wins with one of the teams, but only after a series of criteria are met. They’re designed as a balancing factor hindering or helping both sides at different times, depending on their secret agenda. Secondly it tries to tidy up a few core game mechanics that didn’t work so well. It achieves this through a number of rule tweaks, but mostly through a new “Cylon Location Overlay.” This changes the way several of the cylon locations work fairly dramatically. 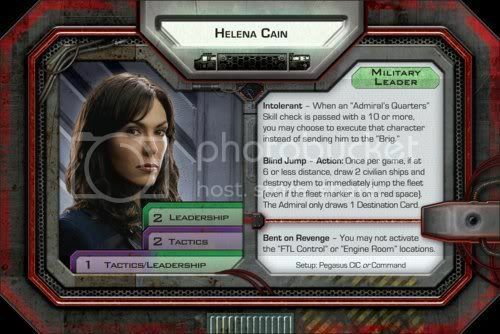 For example, cylons can wait in the resurrection ship after revealing and draw more super crisis cards. They cannot, however, go back in to the resurrection after they leave it. It also introduces the Pegasus board. 4 new powerful locations for the humans to help fight raiders and basestars. The expansion does also add in some new content – new characters and a new skill deck, for example. These are nice, but don’t impact the play all that much and feel more like bonus material rather than important additions. Our group found it incredibly difficult for the humans to win with the base game. Our human win to cylon win ratio was probably on the order of 1:10. However, since introducing Pegasus things have evened out considerably. Cylons still win more often than not, but we find the games go down to the wire far more often. I had originally shied away from Pegasus because of the new Pegasus board taking some of the space-combat limelight away from the pilots. This is certainly true, but we have found it’s not really as bad as we expected. The pilots do still see a bit of action, and everyone is still needed to pull through. I was also deathly afraid of the addition of Admiral Cain. Her once-per-game ability to “blind jump” seemed so strong as to make her a “must pick” character. While she is certainly a powerful character, in practice I don’t find her quite as game breaking as I expected. Lastly, I’ll quickly mention the occupation on New Caprica. This is an alternative ending condition for the game where a mini-game is basically played that the humans need to try and survive. Things are very different to the rest of the game, so it was not received very well. We typically don’t play with it, as it is optional, but like other additions with the expansion it can add a bit of extra flavour. All-in-all, I think Pegasus is a “must-have” expansion. I actually picked Exodus up as my first expansion on the recommendation of several people on BSG forums I frequent. They told me how it makes it so that those that pick pilots were not always so bored, and it balances the game better, and makes Cylon attacks less random. I was a little surprised by some of the comments, since pilot roles were very popular picks in our groups and they were always extremely busy. I couldn’t imagine why they would be described as “boring.” Cylon attacks were certainly brutal, but I really enjoyed them nonetheless. If Exodus improved on that, then all the better. Exodus went for a far more modular approach than Pegasus which I think most players appreciated. There was not much in Exodus that was absolutely required, instead it shipped rules broken into 3 totally independent sections that could be added to the game. So you could play with 1, 2, or 3 of the Exodus components, or even just add in the new Exodus cards and characters (and the couple rule clarifications) and play with none of the new components. Although there was a little bit of tweaking to the rules (for example, some adjustments to Pegasus additions – such as execution – that had a few flaws) most of Exodus was designed to shake up well-established strategies and tactics the community had developed. It tried to provide more ways for people to behave seemingly contrary to the human’s goal, but in actual fact are keeping the toaster threat at bay. In this way cylons could more easily sabotage the fleet without being immediately outed. Suspicious, sure, but this whole game is about sowing suspicion. By far and away the biggest addition in the Exodus expansion is the “Cylon Fleet Board.” It removes cylon attack cards from the crisis deck entirely relying instead on having a cylon fleet build up on a secondary board. When this fleet catches up to the human fleet, you transfer the accumulated pieces on to the main board. Thus the attacks are more like a gradual build-up, followed by a large attack, rather than a fairly random collection of small attacks that may add up to large ones. I didn’t realise that pilots were less utilised at the time because of the Pegasus expansion, and I’m not entirely convinced that Exodus fixes anything. 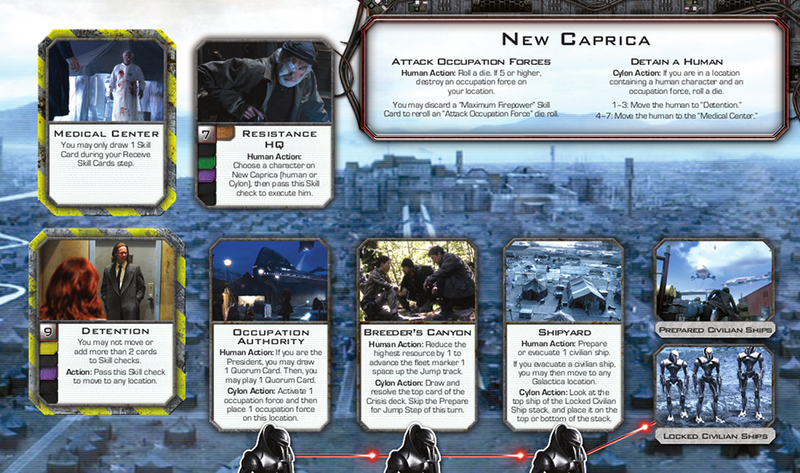 We found our pilots spent all of their time “escorting civilians” off the board, rather than shooting at toasters. It is often times good for the humans to have a basestar attack. Due to the way the rules are written, if a basestar attacks there is almost no chance of the rest of the cylon fleet showing up. The idea is that the whole massive fleet shows up at once, but various conditions can make a lone basestar show up. A lone basestar is really not much threat, so it is definitely the humans preference to let it show up and they make no effort to kill it, knowing that it effectively gimps the rest of the cylon fleet. 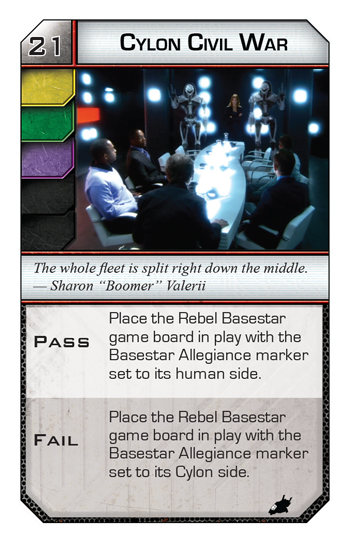 Don’t get me wrong, there is still a lot of strategy involved with the board – on both the human and cylon side. There are a lot of choices to what might be the best action to take… but they often don’t make much sense, such as the above basestar tactic. I also don’t like that removing the attack cards reduces the strength of abilities such as scouting, or Roslin’s Religious Visions since attacks can no longer be avoided through those abilities. The other additions brought by Exodus are interesting, but not necessary. They’re also simply problems for the humans to overcome – they bring very little positive power to the humans. As a result, they just make the game harder (and when you’re looking at 1:10 lose:win ratio, that’s a tough pill to swallow!) It doesn’t make it that much harder, but anything that sows suspicion – by making it dangerous to look at each other’s loyalty cards for example – makes it harder on the humans even if only by a little. Finally the ending condition is mixed up once again. It’s mostly fluff – as opposed to New Caprica which can be difficult and game changing – but that suits fine. It’s a fun way to mix up the game as it winds towards a close finish, without greatly changing things. As far as I’m concerned, Exodus is good but not necessary. I think you’ll probably have the best time with both Pegasus and Exodus, but if you HAVE to pick one, go with Pegasus as it is better suited to improving the base game. Exodus is mostly fluff and loses some of its re-balance without Pegasus. Daybreak is not out yet, but from what we’ve seen so far it looks quite good. They’ve had another go at rebalancing the sympathiser mechanic. Now it is replaced by a new title. Between the original “President”, “Admiral”, and Exodus’s “CAG” most players had a title already. Now there is an interesting new one called “Mutineer.” The idea here is that the everyone gets powers that are presidential-like but you can only hold one of these “mutiny” cards at a time. If something forces you to pick up a second, you are immediately brigged as a mutineer. Therefore, it is probably wise to play this card – unfortunately most cards are both good and bad at the same time. Usually helping in some significant way, but also hurting the human cause in another way. It is probable that sometimes you can afford to lose one resource to gain some benefit… but other times it is not a good idea at all. So – are people trying to stay out of the brig, trying to help, or actively harming the human cause? Who knows! The mutineer, meanwhile, can hold more of these cards than normal. This means they hold a special role of being able to utilise these special cards more effectively… or to greater devastation. It all sounds very interesting and fun. A further reveal of Daybreak shows the new destination and the new ship (The Demetrius.) This ship gives the humans even more decisions – they can now run “missions” from there which are like higher-stakes crisis cards. 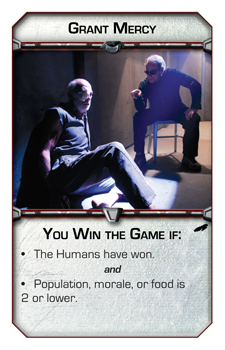 If the humans are feeling confident they can use The Demetrius to try and squeeze out some extra juice… or alternatively a hidden cylon player may drop an unrequested mission on the humans that they have no hope of passing. The effects of these missions cards tend to be really good or really bad. I’m not sure yet whether this addition will be nice to have, but not necessary; mostly ignored among all the other options the humans have (with so few turns! ); or a great must-have addition to the game. One quite siginificant addition is a new Rebel Basestar board. Presumably this is somewhat like Pegasus in that it grants quite a lot of firepower – the catch is… it could join either the humans OR the cylons. All in all Daybreak sounds like it’ll be a lot of fun. I don’t know if it will be a “must have” but since I already have the other expansions I’m not about to stop now. I have a feeling that Pegasus will still be necessary, but after that Exodus or Daybreak will be either-or options. I’m wondering if I can run 4 sessions in a row one long weekend. I’ll start one game with the base game, then work through each expansion with some rules to allow people to “carry over” to the next expansion. 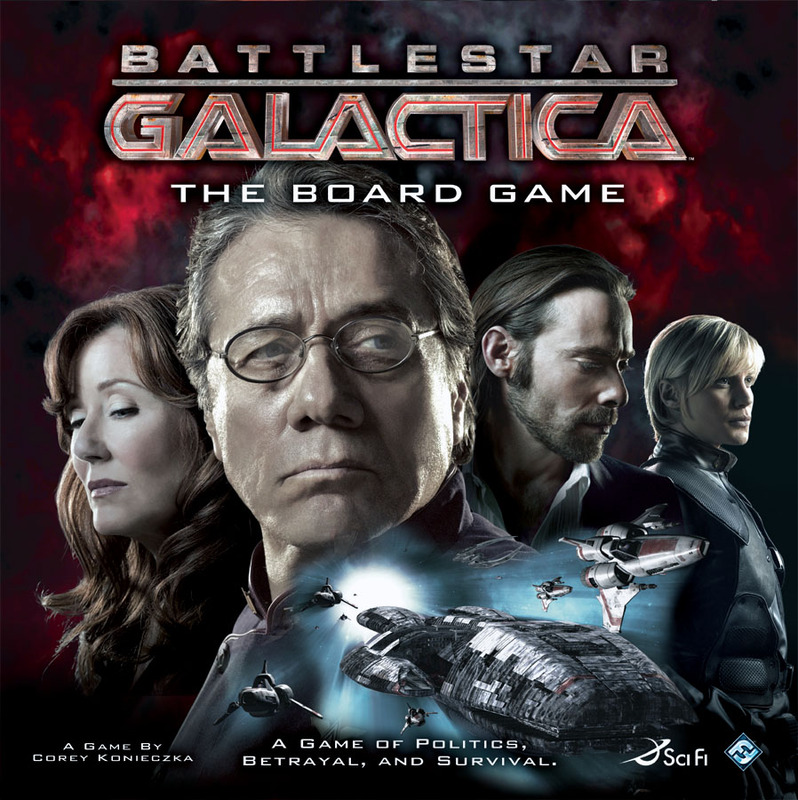 I have a few ideas floating around for that… but I don’t know if I’ll convince my friends to settle in for that much Battlestar Galactica! ← Why the Game Of Thrones Board Game Disappointed Me.